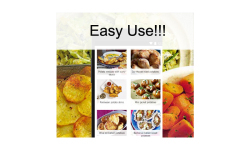 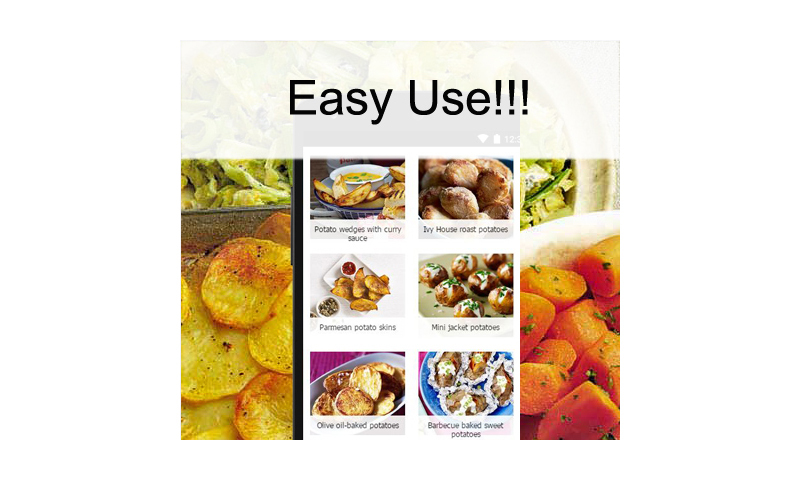 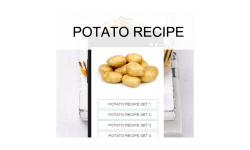 Potato recipes FREE Welcome! 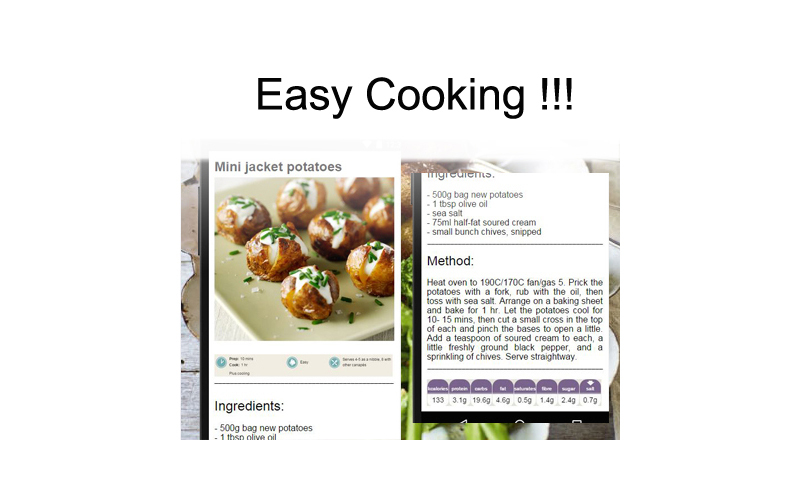 In this application, you will have: - many tasty recipes for you List recipe: * Potato wedges with curry sauce * Ivy House roast potatoes * Parmesan potato skins * Mini jacket potatoes * Olive oil-baked potatoes * Barbecue baked sweet potatoes * Classic potato salad * Smashed rosemary potatoes * Potato cakes with smoked salmon * Turkey chilli jacket potatoes * Herby new potatoes * Minted potato salad * Potato cake with chilli eggs * Mexican potato wedges * Crushed olive oil potatoes * Squashed herby potatoes * Potato & radish salad * Classic jacket Potato recipes * Lemon-roasted new potatoes * Cheesy bean potatoes * Potato wedge tortilla * Pizza baked potato * Cheesy chipotle potato skins * Spiced Indian potato wraps * Tray-baked potatoes You can also save and share your favorite recipes just by clicking the share button to your favorite social network from this application. 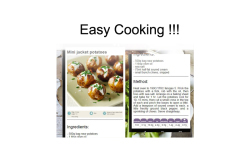 Happy cooking!!!! 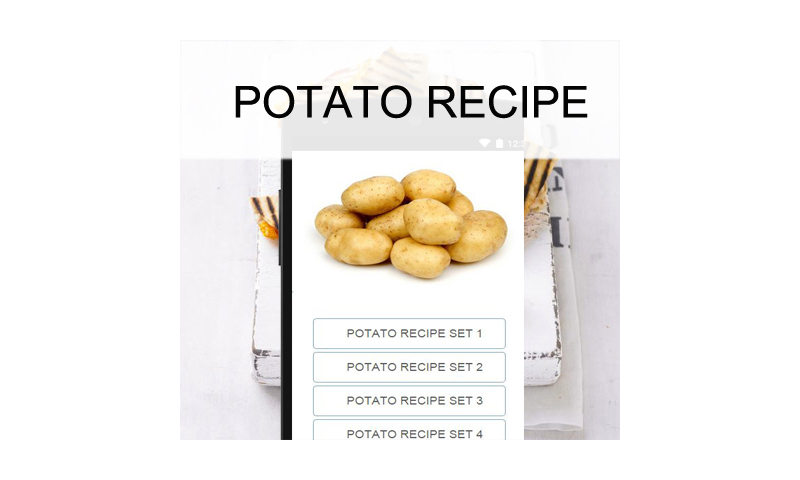 and Enjoy Potato recipes.